Growing up in the city of Liverpool, Trent Alexander-Arnold was better placed than most aspiring footballers to know exactly what he was striving for. That is because the teenage full-back hails from the suburb of West Derby, home to the LFC first-team training facility - and now his workplace - Melwood. 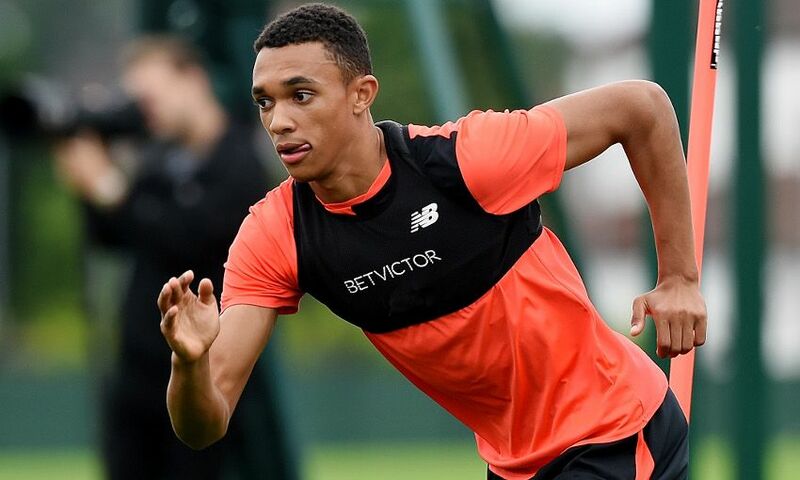 Since joining the Reds' Academy at the age of just six, Trent has been plotting a route to the senior set-up, and has made significant progress in that regard this season. The young Scouser was handed his first-team debut in the League Cup against Tottenham Hotspur in October, and has since made a further appearance in that competition, as well as his Premier League bow. But simply going through the gates of the training ground he once looked at longingly is 'surreal' enough, as he revealed in an exclusive interview alongside Ovie Ejaria and Ben Woodburn. "So it's kind of weird to think now I'm with them and training here every day. It's a bit surreal." Of course, talent alone would not have been enough to get Trent to Melwood. The 18-year-old has made several sacrifices along the way - and even then he insists he could never be sure of realising his dream. "I'd never say I believed it. I just hoped. I dreamed of reaching this point," the England U19 international explained. "I knew a lot of hard work and sacrifice was needed to get to this point. "That's what I've done; I know I can't live the same life as some of my friends or do the same things my friends do. "But it hasn't really fazed me, because I know this is what I want to do for a living and this is what I want to do for the best part of my life. "It hasn't really bothered me yet." But all that hard work received the ultimate reward in the form of his Anfield runout against Spurs - a game which ended in a 2-1 victory for the hosts. It is a moment the Academy graduate will never forget. "Last year, I was in the stands for quite a lot of the games. Hearing it back then was unbelievable. And now with the new stand, with more people there, it makes it louder and a bit more intimidating for the opposition to come. "You feel more intimidated when you walk out, because you feel so small with everything around you. I needed to take a deep breath and relax, and I think that's what I did." Thankfully, there is no risk of the Reds' No.66 getting carried away with his small early successes, either. Discussing the praise he and fellow youngsters Ejaria and Woodburn have received, he added: "I think it's nice to get the admiration we get, but we can't let it get to our heads. "We've got to stay humble and keep our feet on the ground because I think all three of us know that we've still got a real long way to go to being first-team regulars, and a lot of hard work and sacrifices ahead of us, and that's what we're doing. "Sacrificing most days going out with our friends to work hard and keep focused and try to get better every day that we can."